Skilled representation — As a trial attorney, I have an extensive track record of successful results. 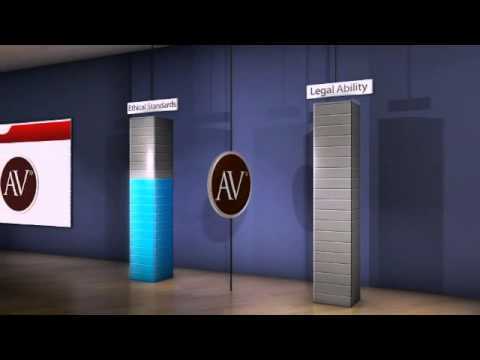 Through decades of hard work, I have built a strong reputation for ethics and professionalism, and am AV® Preeminent™ Peer Review Rated by Martindale-Hubbell®. Superior client service — I understand that clients often feel anxious about their cases, so I try to deliver peace of mind by being responsive to questions, thoroughly educating clients on the law as it applies to their case, and making myself accessible by phone, email and in person. I keep you informed about the status of your case with frequent updates on progress. Compassion — A personal injury lawyer must be able to deal with clients who are in crisis. I have the patience and sensitivity to counsel clients who are usually going through the worst time of their lives. I believe in building relationships as I build a case, so you can feel confident having me as your advocate. You might think that in a town like Pittsburg, with only about 20,000 people, you’d be hard pressed to find a plaintiff’s attorney who can win your case against a large insurance company. But I can point to decades of success doing just that, and I am determined to continue delivering positive results for my clients. Motor vehicle accidents — My practice handles passenger car accidents, as well as bus, truck, motorcycle, bicycle and pedestrian accidents. My experience covers everything from high-speed collisions on US 160 and KS 126 to crashes on busy intersections. My cases have involved distracted driving, drunk driving, reckless driving, speeding and other traffic violations. Medical malpractice — I have successfully represented injured patients against negligent healthcare providers in malpractice claims. I manage cases involving misdiagnosis, surgical errors, anesthesia errors, prescription drug errors, and defective medical devices. Slip and fall accidents — I represent plaintiffs in premises liability claims arising from slip and fall and trip and fall accidents on public and private property. Workers compensation — Workers often have trouble obtaining benefits for on-the-job injuries. I handle appeals of workers compensation claims, help ensure that clients get accurate disability ratings, and negotiate permanent disability settlements. Over 25 years of practice, I’ve helped countless people get the full, fair compensation they deserve. I take great satisfaction in getting justice for my clients and helping them get their lives back on track. Call Patrick C. Smith, Attorney at Law at 620-308-6692 or contact me online to schedule a free initial consultation. My firm is located close to the courthouse, and free parking is available. A Spanish interpreter is available upon request.